I really don’t feel well today. Not because of the usual reasons but because of God’s gift to women. Thanks God, really. Well I am not very friendly at all and I’m avoiding all other humans to keep from losing friends. So I’ve been knitting. I am participating in the Lion Brand Blog’s Knit-a-long (KAL) We (people from across the globe) are making a sweater together with the help of an knitting/crochet expert from Lion brand. This will be my very first sweater I have ever knit. I participated in their last crochet-a-long (CAL) where we made a reglan pullover but that was much easier! That is a lighter summer top. This will be a nice lose fitting sweater with a shawl colar. I am making mine in Wool Ease Blush Heather. 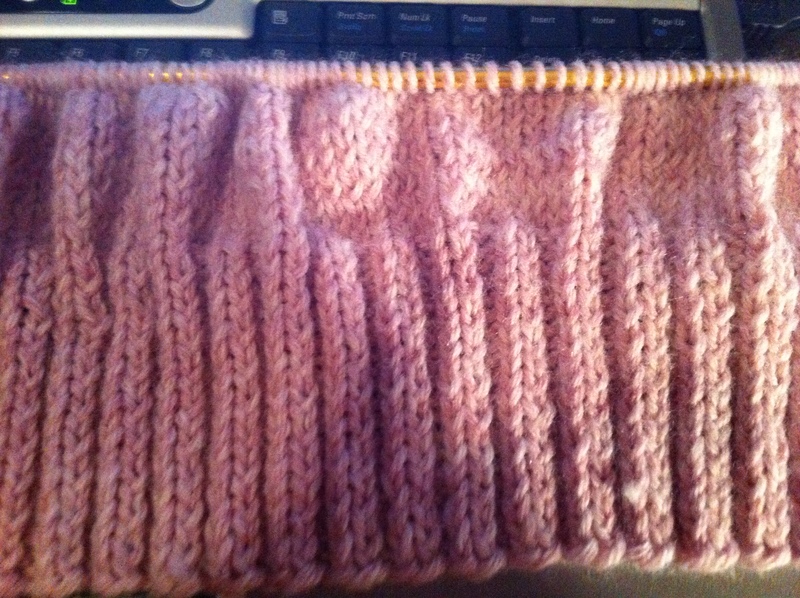 It is a nice soft pink and it is only part wool so not so scratchy. The yarn recommended in the pattern is a beautiful self striping wool yarn called “amazing”. Just as the name suggests, the colors are AMAZING! I was especially amazed to find it at my local Joann’s store but when I reached out and picked up a skein of it I wanted to THROW it back down. It felt like steel wool! I don’t care how amazing it is I can not put that next to my body. The yarn I bought is much softer and there were so many beautiful colors that I had a hard time choosing. If this sweater turns out well I may make another in another color. 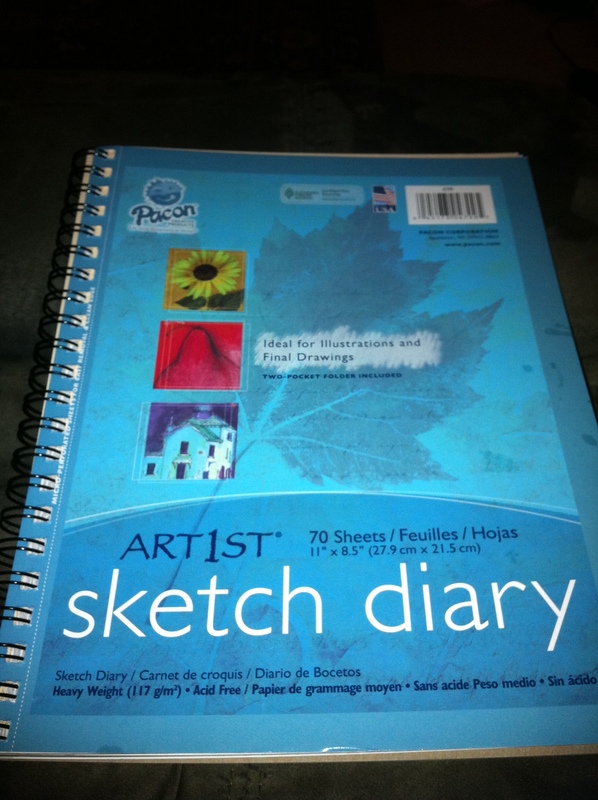 Also, I am going to start an Art Journal. I bought a sketch book to use but I’m not really sure how to start. I’m waiting for inspiration. I am sure greatness is soon to happen here.